I love wildlife - you probably noticed. My DVD collection is full of nature documentaries, I've got pretty much everything Attenborough has done, and I research a lot for my writing, too. Can't create believable fantasy beasts if you don't know how animals evolve to their terrain, right? 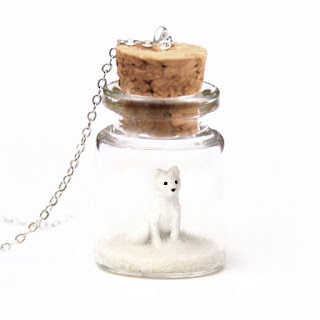 And so it's not surprising that my Etsy shop, Myth of the Wild, is full of animal necklaces. 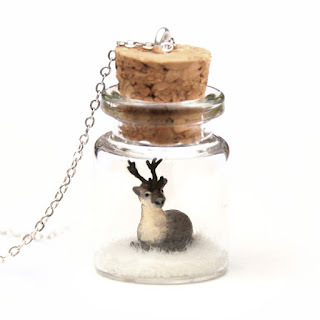 Tiny terrarium necklaces filled with miniature animals make the perfect gifts for animal lovers at Christmas, so I've spent the last few months stocking up as best I can. I've also been working on a new Winter Collection for 2017 with winter animals, and it's so hard to do it without resorting to obvious winter wildlife choices. But I think I've done it. As of this evening, the entirety of my 2017 Winter/Christmas jewellery collection is fully listed and available to purchase! Since October 22nd I've been listing pieces, including left overs from last year that I've decided not to repeat, and now it's all done! This year it's a collection of ten - count them, ten - pieces! 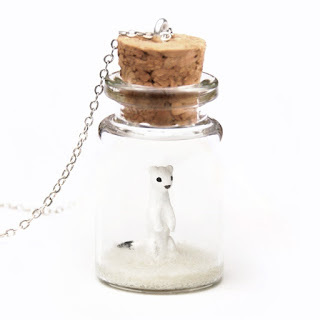 I admit a number of them aren't new but they were so well-loved that I brought them back this year, like the snowman, robin and Christmas tree, but I've added a few new pieces, too: an ermine (short-tailed weasel in its winter coat), an arctic fox, and a revised version of the reindeer. There's still one of 2016's reindeer left. As usual, all jars are between 1.5cm to 3.5cm tall and 1cm to 2.5cm wide, necklace chains are silver plated and 16 inches, but you can request a free 2 inch extension, or purchase the sterling silver upgrade to change the chain to 925 silver. In keeping with collection tradition, while every piece is available for sale individually, there is also a single listing to purchase the entire 2017 Winter Collection as a whole, and at a discounted price, with the choice of having them as necklaces, or as free-standing ornaments as shown. There is limited stock of these three creatures this year due to their complexity, but if the demand is high enough I may make another batch. Otherwise, they're limited to 6 pieces each for 2017. Also, with Etsy's new gift wrapping feature, all of my listings now have a gift wrap option at checkout! Red-gold tissue paper, inside either a white or red pillow box, tied with either white-gold, white-silver or white-red baker's twine, and a strip of gold, silver or red washi tape - it's buyer's choice, mix and match! 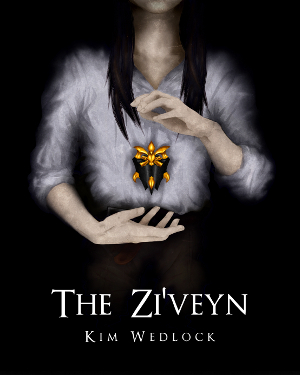 A picture will be available on listings soon, too. I'm really excited about Christmas this year's collection - I know it's not all new faces, but coming up with different winter animals is tough, and a few pieces are also favourites, both customer and personal, so I've kept those and the most festive of them in. I hope you love it as much as I do!